Tate Young has practiced law for 37 years and has tried cases in state and federal courts. He started his career as in-house counsel with a major oil company practicing anti-trust and commercial litigation, then worked in two Houston law firms and became partner in the latter. 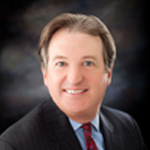 In 1992, he started his own firm serving as a business lawyer with a focus on business litigation in Houston, TX. He also has extensive experience as a Houston employment lawyer. Mr. Young is respected for having the ability to accurately evaluate and assess a legal matter prior to a lawsuit being filed, including analysis of both liability and damages issues. Mr. Young has represented management and employees, which enables him to many times anticipate the opposing party’s next move, which is a critical component to successful business litigation in the Houston, TX area. It is also an important attribute when seeking an employment lawyer. Mr. Young’s years of practice have enabled him to ascertain, and focus, on the germane factual and legal issues in a case. He develops pretrial and trial strategies, always being mindful of the client’s goals. Always maneuvering towards trial, he will, if appropriate, negotiate a settlement. Mr. Young prides himself as a business lawyer on solving legal disputes invoking creative strategies. Other attorneys, and even a Texas appellate judge, have entrusted their personal legal disputes to him. Mr. Young also negotiates all types of contracts, particularly employment agreements containing non-compete and non disclosures provisions, and advises clients on “golden parachute” and severance packages. Mr. Young’s practice is primarily concentrated in two primary areas. He has vast experience in commercial litigation including business torts, contracts, consumer protection, real estate, construction and trade secret law. He also focuses on employment law including covenants not to compete, non-disclosure agreements, severance agreements, wrongful termination and discrimination. His clientele runs the gamut from international, and national, clients to locally-based businesses and individuals with one-of-a-kind needs. Representative clients are in real estate development and management, oil and gas companies, construction, manufacturing, software/website companies, services industry and attorneys, as well as individuals with employment related claims of discrimination, sexual harassment, wrongful termination and other labor related matters. Mr. Young has handled some interesting and noteworthy cases over the years, and has been featured in The Houston Chronicle, on television and radio. If you have a legal matter involving business litigation or need an employment lawyer in the Houston, Texas area, please contact attorney Tate Young today for assistance. Served as co-counsel for Tenneco Oil Company. The case was based upon price fixing and bid-rigging among the major offshore platform and pipeline fabrication companies. In Re Marine Construction Litigation, M.D.L. 417, United States District Court, Eastern District of Louisiana. Represented the Honorable Frank G. Evans, former Chief Justice of the First Court of Appeals in Houston, as the plaintiff in a commercial real estate case. Judge Evans settled his claims and the remaining parties proceeded to trial. Martini v. Tatum, 776 S.W.2d 666 (Tex. App.-Amarillo 1989, writ denied). Successfully represented a landowner through trial and on appeal in a slander of title claim against a prominent Texas oil man. It is often cited authority in subsequent slander of title cases. Williams v. Jennings, 755 S.W.2d 874 (Tex. App.-Houston [14th Dist.] 1988, writ denied). Mr. Young represented the Executive Producer of the academy-award winning film “Dallas Buyer’s Club,” starring Matthew McConaughey and Jennifer Garner, against his former partner regarding several rights and income payouts generated by the film for their production company. The case was originally filed in Texas state court and then was litigated as formal arbitration. After the second day of the arbitration, the matter settled. In 2014, Mr. Young was a key part of the team of attorneys whom successfully represented the plaintiff--a small steel distributor company which had been put out of business due to a group boycott by several large steel competitors and steel mills. The case was filed under §1 of Sherman Act and, in 2014, the jury returned a unanimous verdict that the defendants had violated the Act and awarded the client actual damages of $52 million which was trebled to an amount in excess of $160 million. Most of the defendants thereafter settled leaving only two which appealed to the Fifth Circuit Court of Appeals in New Orleans. MM Steel L.P. v. JSW Steel (USA) Incorporated and Nucor Corporation, 806 F.3d 835 (5th Cir. 2015). The appeals court reversed as to one defendant and affirmed as to the other. Tate Young brings 37 years of legal experience in both state and federal courts. The firm's primary practice areas include business litigation, consumer protection, real estate litigation, and employment law. Need to speak with the Tate Young Law Firm regarding a case? We're only an email or phone call away, so please do not hesitate to contact the law firm to request a consultation.